Photosynthesizing algae first arose in the oceans. As improbable as it may seem, a single species of green algae, living in the water, was likely responsible for giving rise to every form of land plant that followed. This was a monumental step in the evolution of life on Earth, yet it was also a kind of accident—an accident repeated over and over until life stuck to dry land once and for all. It began when near-coastal colonies of algae mats—stromatolites—became exposed to the air when the tides waned. The slow adaptation of green algae to dry land was pushed further along by the action of waves that left bits of algae stranded on exposed dry surfaces on the shore. Over time, through the process of natural selection, some of these algae became hearty enough to exist and reproduce outside of the water as a biotic smear on an exposed rock surface. Lichens were one of the earliest land organisms to prosper. Not classified as plants, lichens are a form of fungi that live in symbiosis with photosynthetic algae or cyanobacteria. Even today, lichens can be found in some of Earth's harshest environments. Lichens were probably capable of surviving the extreme conditions of the Early Paleozoic Earth, where harsh changes in temperature and long periods of drought were common. Fossil evidence shows that lichens were probably widespread by the Early Devonian Epoch, and some scientists place the origin of lichens to the very beginning of the Cambrian Period. By the Late Cambrian Period, oxygen had probably risen to levels adequate to sustain a viable ozone layer in the atmosphere—an essential shield to protect organisms directly exposed to lethal ultraviolet radiation from the Sun. The next requirement for sustaining life on land was the development of a ground-covering soil. Although fossil evidence of microbiotic crusts or mats dating from the Precambrian suggests that near-shore soils were beginning to take shape even in the Early Cambrian, the appearance of true soils underlying these crustal mats was slow in coming. It took 100 million years or more for the thin bacterial and fungal carpets of the Early Cambrian to thicken into soil covers capable of supporting the first traces of plants and small animals such as arthropods and ancestral worms. Spore traces of early plants show that by the Late Ordovician Epoch, the terrestrial ecosystem had become fixed and stable enough to support the relatively sudden and explosive expansion of land plants during the Silurian and Devonian Periods. Fossil evidence of ground cover other than lichens is found in deposits from the Middle Ordovician Epoch and consists of isolated spores that resemble those of modern liverworts. These spores have what is called a tetrad design and consist of a four-part membrane with a decay-resistant wall for housing the spores. One might say that these liverwort-type spores came in four-packs. Liverworts are good candidates for one of the earliest land plants because they can been seen today living symbiotically with algae, sometimes on microbiotic crusts that are thought to be similar to the earliest kinds of soils. Mosses and hornworts make up two other families of likely early nonvascular plants. Like liverworts, mosses and hornworts do not have roots, and most varieties reproduced by dispersing spores. Mosses can resemble liverworts but sometimes have twisting branches with leaflike structures, though these are all nonvas-cular features. Mosses commonly hug the surface to which they are attached and can be found thriving in moist environments. Hornworts also grow in damp, humid places. They have large, horn-shaped leaves clustered around the flattened body of the plant. Like mosses, some varieties of living hornworts are commonly found growing on the bark of trees. Fossil spores from the Early Silurian Period to the Middle Devonian Epoch show a decline in the diversity of tetrad-type spores in favor of simpler, single plant spores that were dispersed individually. Although evidence associating these single spores with specific kinds of plants is rare in the fossil record from that time, spores such as this are used by seedless vascular plants and by some extant species of nonvascular plants such as mosses and hornworts. The protective outer walls of these single spores were improved over the protective sheathes of the tetrad spores of nonvascular plants; this improvement made the single spores more likely to spread and prosper than their predecessors. This is exactly what happened. As seedless nonvascular plants arose, they swarmed into niches once occupied by nonvascular plants. This effectively restricted the liverworts, mosses, and hornworts to the habitats they now hold. Thus began an extraordinary second phase in the evolution of land plants. Between 480 million and 360 million years ago (Middle Ordovician Epoch to the Early Carboniferous Period), land plants made a transition from their humble beginnings as mere rock-covering smears and low-lying ground cover. They developed a variety of new anatomical structures, reproductive schemes for the survival of their species, and adaptations for many varied habitats. It was a green revolution on land that transformed rocky, barren continents into life-supporting terrestrial habitats. The first definitive fossils of land plants come from Middle Silurian deposits of Northern Europe and Late Silurian deposits of Australia, Bolivia, and northwestern China. These fossils include specimens of seedless vascular plants, such as Rhynia and Cook-sonia, with internal channels for conducting water and nutrients. Club mosses such as Baragwanathia also are found from this time, as are several plants such as Salopella whose connection to modern families of plants is not yet understood. The earliest vascular land plants were morphologically simple and small. None had roots; they existed as creeping plants that spread across the ground. Cooksonia—found in Middle Silurian deposits of central Asia, Europe, eastern North America, and Brazil—consisted of upright stalks only about one inch (2.5 cm) tall. Steganotheca (Late Silurian, Great Britain) was a little more bushlike and stood two inches (5 cm) tall. Ferns are seedless, vascular, spore-bearing ground cover. They are noted for their creeping stems, photosynthetic featherlike leaves or fronds, and fibrous roots similar to those of seed plants. vascular plants. The stalks of these plants were woodier; this allowed them to grow taller and distribute their spores more widely. By the Middle Devonian Epoch, the rise of vascular plants was leading to great diversity in plant design and size. Psilophyton was an early vascular plant reinforced by robust bundles of conducting channels. Some specimens measure more than three feet (1 m) tall. Many times taller than Cooksonia and Steganotheca, Psilophyton was a stepping-stone to the largest and most successful seedless vascular plants—the lycopods, ferns, and sphenopsids (horsetails). One of the most spectacular groups of early seedless vascular plants were the lycopods. The lycopods were the first major group of vascular plants; they arose during the Silurian Period and became widespread on a worldwide basis by the Carboniferous. The evolutionary origins of the lycopods are unclear, but they may be related to the earlier Cooksonia. Lycopods developed strong root structures and hard stalks to resist desiccation in hot, tropical climates. The largest members of this group grew to be an astounding 100 feet (30 m) tall and formed huge forests. Unlike in modern trees, the leaves of lycopods were attached directly to the stalk of the main trunk. As a lycopod grew taller, it shed its leaves, leaving only a cluster of leaves at the top. This gave the tree a distinctive, umbrellalike appearance. As the leaves were shed, they left a diamond-shaped pattern of scars on the trunk, a visually distinctive feature for which these fossils are known. The spores of lycopods were borne on fertile leaves. Modern remnants of lycopods are not nearly as spectacular as their ancestors; they include the branching club mosses and "ground pine." Ferns arose during the latter part of the Devonian as seedless, spore-bearing ground cover. By the Carboniferous Period, many fern varieties had become widespread, and some species towered over the coal forest as large trees. 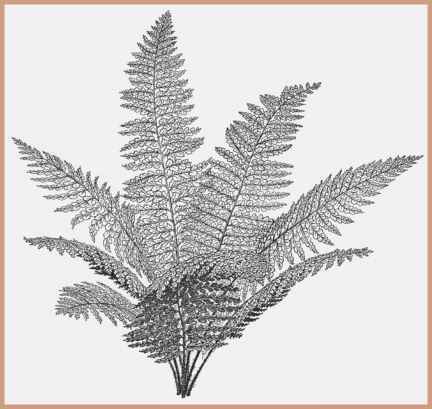 There currently are more than 10,000 species of true ferns that trace their lineage back to the Paleozoic; this makes ferns the most prevalent type of modern seedless vascular plant. Ferns are noted for their creeping stems; their photosynthetic featherlike leaves or fronds; and their fibrous roots, similar to those of seed plants. Ferns were one of the first groups of plants with significant root structures. These structures further strengthened the plants' physical stature, improved their intake of nutrients from the soil, and encouraged ferns to grow larger and taller. Fern spores are found as small dots on the underside of the leaves. Sphenopsids were seedless vascular plants that evolved during the Devonian Period, at about the same time as ferns. The name sphenopsid means "joint-stemmed"; the plants owe their name to the structure of their long, hollow, jointed stems. The only modern-day representatives of the sphenopsids are 15 species of the horsetail. This image shows Lepidodendron, an extinct lycopod (or giant club moss), which is a spectacular early seedless vascular plant. The living sphenopsids include perennial species that are most at home when rooted in sandy soil along a riverbank or stream. Leaves of modern varieties may be broomlike or may resemble a horse's tail, with the thin, needlelike leaves attached at the jointed points in the hollow stalk. The spores of sphenopsids cluster with the leaves. One variety of living sphenopsid—the scouring rush-has a fibrous texture that made it a popular tool in the early American kitchen for scouring pots and pans. The heyday of the sphenopsids spanned the Carboniferous and Permian Periods, when some varieties towered as tall as 100 feet (30 m). The extinct genus Calamites had a bamboolike stalk with vertical ribbing and needlelike leaves. Calamites grew to more than 31 feet (9.5 m) tall, and its fossils are often found in deposits of Carboniferous Period coal-bearing formations. Leaves are the primary factories of photosynthesis in vascular plants. Photosynthesis occurs when light energy from the Sun, carbon dioxide in the air, and water are chemically combined to create food energy for the plant inside the leaves. As a byproduct of this process, leaves release oxygen into the air and enable plants to maintain an atmospheric balance of carbon dioxide and oxygen that sustains the life of invertebrate and vertebrate animals. The size, shape, and arrangement of leaves are important to their function and affect the amount of sunlight that the plant can absorb to fuel photosynthesis. The earliest vascular plants did not have leaves as are commonly seen today. Several environmental factors, including changes in the makeup of Earth's atmosphere, influenced the evolution of the first leaves. The first vascular plants that colonized the land during the Middle Silurian Period were leafless. They absorbed sunlight and carried out photosynthesis through their stems. Early vascular plants such as the extinct Cooksonia and other related rhyniophids consisted only of branching stems that grew low to the ground. Fossil evidence of the first leaves does not appear in the fossil record until about 40 million years later, near the end of the Devonian Period. The appearance of plants with leaves was a monumental event in the natural history of the Earth. Plants with leaves form the foundation of a worldwide ecosystem that to this day is vital to the survival of all other animals. Why it took so long for leaves to evolve from the first vascular plants has been a source of puzzlement to plant paleontologists. After all, leaves greatly improve the ability of plants to photosynthesize, furthering their survival and distribution. slow emergence of the first leaves. The team noted a correlation between a tenfold drop in the concentration of carbon dioxide in the atmosphere, the rise of atmospheric oxygen, and the appearance and diversification of plant leaves. This change in the composition of the atmosphere occurred between 410 million and 370 million years ago, during the Devonian Period, and corresponds well with the appearance and design of leaves. For proof of the concept, the scientific team turned to the fossil record, where they focused on finding fossil evidence. 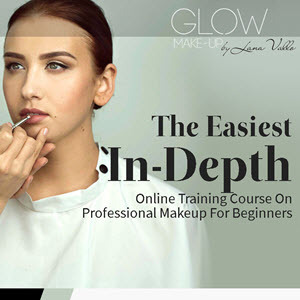 What they found dramatically illustrated their point. As the world became more habitable for oxygen-breathing organisms, so, too, did the size, shape, and effectiveness of leaf blades improve. From the simple branching stems of Rhynia, early leaf structures emerged in the form of stem branches in Psi-lophyton; in the form of side branches in Actinoxylon, to further improve the number of photosynthesizing elements; and in the development of fuller leaves with infilling of spaces between the branching stems, as in Archaeopteris. The boom in seedless vascular plants during the Devonian led to the spectacular spread of vast tropical swamps and forests. Spore-bearing ferns and seed ferns formed a dense layer of mid-height vegetation under a canopy of lycopsids, sphenopsids, and the towering progymnosperm, Archaeoptreris. Growing big and tall was the rule of the day as branching plants of all types competed for exposure to sunlight. The seedless vascular plants dominated the Paleozoic terrestrial ecosystem; however, as the world of the Permian Period began to cool and dry out, land plants began another important transition in their evolution. In the shadow of the seedless vascular plants were the first seeded plants, or gymnosperms, that would come to dominate the next important phase of plant evolution. Gymnosperms—the "naked seed" plants—were the focus of the next great evolutionary triumph for land vegetation. Seed plants did not dominate terrestrial environments until the Mesozoic Era, but their appearance during the Late Paleozoic in the form of seed ferns, towering trees such as Cordaites, and shrublike plants such as Glossopteris was an auspicious marker between the old tropical world of the Paleozoic and the drier, more temperate habitats of the Mesozoic. Seedless plants thrived in the swamps and forests of the Middle Paleozoic because they required moisture to reproduce. Liquid water was needed for the sperm and egg components of these spore-bearing plants to join and fertilize. Early seedless plants were at first restricted to ground-hugging forms that lived near bodies of water. As the world became hotter and wetter, and vascular plants grew taller, they extended their range to the humid interiors of expansive tropical forests. In the Devonian and Carboniferous Periods, the water that was needed to spread and fertilize spores came in the form of rain and humidity that frequently drenched the leaves of plants living in the densely vegetative habitats. The early gymnosperms adapted to cooler, drier, and more elevated environments by developing a way to protect their seeds from desiccation. Spore-bearing plants before them produced tiny plants called gametophytes that contained both eggs and sperm. Water was needed to join these reproductive cells together so that fertilization could take place. The tiny, unprotected gametophytes were highly susceptible to drying out and would not survive outside of the moist environment of the swamp. Gametophytes also were not very mobile; new plants grew close to the parent plant. This hindered the ability of a plant to distribute its offspring over a wider geographic area. Gymnosperms found a way to protect their reproductive cells from desiccation. Each plant produced male and female cones. The male cones produced pollen grains, and the female cones produced the beginnings of a true seed. The wind carried the male pollen to the seed-bearing female cone, and in that cone the pollen fertilized the egg. The fertilized egg then grew within the protective shell of the seed covering, where it fed on nutrients found within the seed itself. Not only did this advance protect the seed from drying out, it also provided a mobile seed that could be spread by the wind, further extending the range of such plants. Seed plants first appeared in the Carboniferous Period and were probably related to a group of seedless vascular plants known as progymnosperms. Archaeopteris is one such ancestor whose fossils are found in Late Devonian forests around the world. Carboniferous Period Archaeopteris reproduced by spores like a seedless fern, but it had a woody bark—a protective covering like that found in a typical conifer from the Mesozoic. As such, Archaeopteris represents an intermediate stage in the adaptation of plants from the moist, humid habitats of the Middle Paleozoic to the drier, cooler environments leading into the Mesozoic. Significant climate shifts during the Permian Period dried the once fertile coal swamps and encouraged the spread of hearty gymnosperms. With the gymnosperms came a great expansion of terrestrial habitats into higher elevations and floodplains. Although the most diverse period of gymnosperm evolution was still ahead, several varieties of these seed-bearing plants became plentiful during the Late Paleozoic Era. Seed ferns were the earliest gymnosperms. Their leaves resembled seedless ferns, but these plants reproduced by way of seeds. Elkinsia, from the Late Devonian Epoch, is the earliest of these seed ferns. The first seed ferns did not have cones but produced seeds along their branches in protective, cuplike capsules. 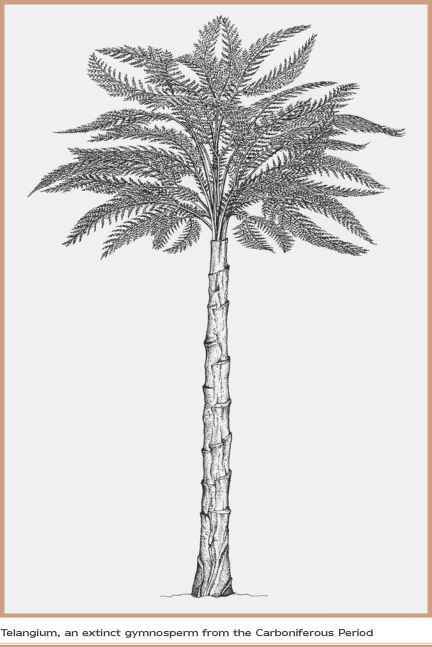 Cordaites, which are now extinct, were some of the tallest common gymnosperms of the Late Paleozoic. Growing up to 100 feet (30 m), Cordaites had tall, branchless trunks with a tuft of long, strap-shaped leaves bunched at the top. Seed-bearing cones were clustered among the leaves. Found primarily in North America and Europe, the Cordaites disappeared at the end of the Permian Period. Paleozoic supercontinent of Gondwana—India, Australia, Africa, South America, and Antarctica—Glossopteris first appeared in the Permian Period and was extinct by the Late Triassic Epoch. The broad, flat, tongue-shaped leaves of this tree ranged from four inches (10 cm) to more than three feet (0.9 m) long and may have been shed on a seasonal basis. Male and female reproductive cells appear to have been produced on different leaves, but the way they were contained—e.g., on a pollen stalk or in a sack—has not yet been determined with certainty by examining their fossils. Although many fossil leaves of Glossopteris have been discovered, the same cannot be said for the trunk or body of this genus. It may have been a large shrub or small tree similar to a cycad and measuring 13 to 20 feet (4-6 m) tall. Following closely on the migration of plants to dry land were the invertebrate organisms that provided the ancestral stock of today's land arthropods. 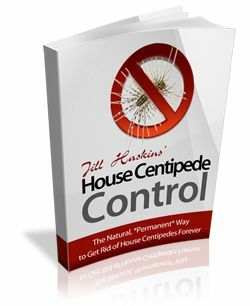 These included insects, spiderlike creatures, mites, ancestral scorpions, worms, millipedes, centipedes, and their kin. This chapter traced the development of the first terrestrial plants and animals prior to the move of vertebrates from sea to land. 1. The first organisms to conquer the land were green algae that were the ancestors of land plants. 2. Plants are multicellular, photosynthesizing members of the Eukarya, the domain of organisms with a eukaryote cell type that also includes animals and fungi. 3. Vascular plants have conducting systems inside their stems and leaves to transport water and food. Nonvascular plants lack vascular tissue and a conducting system; they absorb water and nutrients through a sparse layer of specialized absorbent cells. 4. The four major plant groups are the nonvascular plants, including mosses, liverworts, and hornworts; the seedless vascular plants, including club mosses, ferns, whisk ferns, and horsetails; the gymnosperms, including conifers (evergreen trees), seed ferns, and cycads; and the angiosperms, the flowering plants. 5. Plant adaptations for living on land include the development of a waxy outer covering to protect against the drying effects of desiccation; the development of tiny surface pores called stomata for gas exchange and making photosynthesis possible; and the development of a supportive, skeletonlike structure to help the plants stand up out of water. 6. Lichens—a form of fungi that live in symbiosis with photo-synthetic algae—were some of the earliest land organisms. 7. Fossil evidence consisting of isolated tetrad-type spores suggests that ancestral plant species of liverworts and hornworts lived on land in the Middle Ordovician Epoch. 8. Fossils of nontetrad single plant spores from the Early Silurian Period to the Middle Devonian Epoch indicate the development of the first, basal seedless vascular plants. The first definitive fossils of seedless vascular plants come from Middle Silurian deposits of Northern Europe and latter Silurian deposits of Australia, Bolivia, and northwestern China. 9. 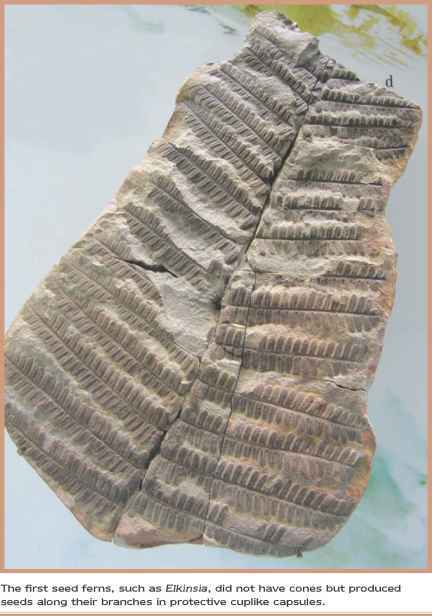 Lycopods, ferns, and sphenopsids (horsetails) were highly successful types of seedless vascular plants that lived during the Late Paleozoic Era. 10. Seed plants—the gymnosperms—first appeared in the Carboniferous Period. 11. Gymnosperms developed seeds that were less susceptible to desiccation; this gave the gymnosperms an advantage as world climates became drier and cooler by the end of the Permian Period. The first animals to exploit the new terrestrial habitat created by land plants were descendants of marine-based arthropods, the most diverse of all animal groups. Arthropods today include crustaceans (including marine-living lobsters, crabs, and shrimp); arachnids (including spiders, mites, ticks, and scorpions, all with eight legs); centipedes and millipedes (with 30 or more legs); and insects (including beetles, bees, flies, butterflies, and others, all with a three-part body, six legs, and, in most species, wings). What made the arthropods ideally suited for the transition to land was their basic body plan. Their tough outer skin covering and thin, jointed appendages left few soft parts exposed to the evaporative effects of dry air. Legs also provided the arthropods with the means to move about on dry land—to navigate obstacles and make their way despite the greater pull of gravity that comes with living outside the water. The initial transition of plants from water to land occurred only once, and from those earliest pioneering terrestrial adaptations sprouted all other lineages of land plants in succession. One reason for this was that plants in their present-day form—as vascular, pho-tosynthesizing organisms—existed in the ocean only in the most primitive algal forms just before their movement to dry land. Early plants progressed through various stages of adaptation to dry land; this resulted in increased diversification over time into the four main groups of extant plants. transitions to land independently, and each group worked out its own unique solutions to living in a dry habitat. This transition took place over a span of about 160 million years, from the Late Ordovi-cian to the Late Carboniferous Period. While the first transitioning arthropods preceded the first transitioning vertebrates onto land, by the Carboniferous Period, both groups were thriving in the vast, tropical swamps and forests associated with coal-age fossil deposits. The existence of millipedes, centipedes, insects, and spiders alongside the first tetrapods sustained a robust ecosystem in which most animals were predators or scavengers. The fossil record provides little evidence for the eating of living plants by either arthropods or vertebrates until the Late Carboniferous Epoch and the Permian Period. Until that time, it is presumed that arthropods either were detritus eaters—feeders on dead organic matter, such as plant remains—or predators that ate other arthropods, such as insects. Only three of the four groups of arthropods are represented by land species during the Paleozoic. Today, the crustaceans, although mostly marine based, also have terrestrial members in the form of the Isopoda (wood lice or pill bugs) and some species of hermit crabs, but none of these were among the first line of land animals to leave the oceans during the Paleozoic. Millipedes and centipedes are members of the group of arthropods known as Myriapoda, a name that is Greek for "many feet." All of the appendages of the Myriapoda are single-branched, or uniramous. Most arthropod limbs are biramous, or double-branched; they consist of a sturdy, weight-supporting limb that also has a branching, feathery, gill limb attached. Many kinds of arthropods have lost the gill limb, leaving only the supporting, uniramous walking limb. 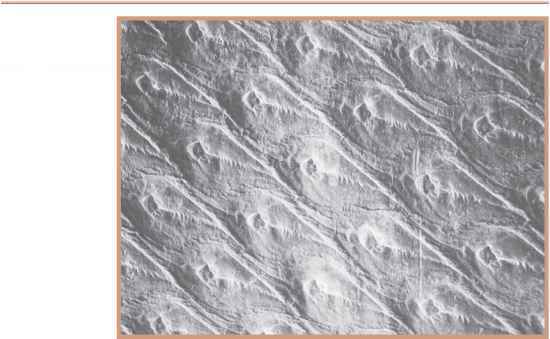 The first evidence for land animals is found in the form of trace fossils from the Late Ordovician Epoch. This evidence, which consists of preserved burrows, suggests that millipedes had evolved by that time and had become an important part of the evolving terrestrial ecosystem. The first definitive body fossils of millipedes are found in Late Silurian and Early Devonian deposits in Scotland. The Middle to Late Devonian fossil record of the Myriapoda is scant, but centipedelike specimens have been found in fossil bearing rocks known from the Gilboa fauna in New York and other North American and European sites. Even though there is a slight gap in the fossil record, the Myriapoda continued to thrive and diversify well into the Carboniferous Period. One long-lasting group of millipedes was the Arthropleuridae. They were geographically widespread, and their fossils have been found in rocks that range in age from the Late Silurian to Early Permian Period, in Europe and North America. Unlike the familiar millipedes whose segmented body armor is usually rounded or cylinder shaped, the arthropleurids had broad, flat backs that hid their many legs. Arthropleurid remains have been found mostly in such Northern Hemisphere locales as Scotland; Kazakhstan (an area in central Asia and easternmost Europe); Pennsylvania and New York; and Quebec, in Canada. At least one genus has been discovered in Australia. The atmosphere of Earth underwent many radical shifts in its basic chemistry during the Paleozoic Era. Most significantly for terrestrial animals, geochemical studies of sedimentary rock and oxygen molecules in the air confirm a marked increase in the amount of atmospheric oxygen during the Late Paleozoic, followed by a sharp decline. This oxygen pulse was accompanied by equally dramatic shifts in the amount of carbon dioxide in the air. Compared to present-day oxygen levels of 21 percent of the atmosphere, the concentration of free oxygen during the Late Paleozoic peaked in the Carboniferous at 35 percent and then dropped to 15 percent by the end of the Permian. Much of this expansion of atmospheric oxygen is attributed to the rise of vascular land plants whose photosynthesis produced oxygen as a byproduct. Changes in the makeup of the atmosphere affected the evolution of the first animals. During the transition from water to land, the first terrestrial inhabitants faced challenging climate conditions, particularly with regard to the animals' ability to develop effective physiological means for extracting oxygen from the air. Water-based arthropods breathed using gills. Arthropods on land developed a variety of unique respiratory strategies. Insects evolved a particularly effective method of breathing without lungs. They bypassed their circulatory system and directly infused their tissues with oxygen through a network of tiny, branching tubes that ran from the surface of their hard, outer skin. The insect respiratory system is effective with only a meager amount of oxygen in the air—a critical requirement during the early stages of insect evolution, when there was decidedly less oxygen available. By the end of the Devonian Period and leading into the Carboniferous, however, oxygen levels on the planet rose rapidly, as terrestrial plans spread far and wide. The effect on the evolution of insects was dramatic. Levels of atmospheric oxygen over the past 550 million years, showing a dramatic spike during the Carboniferous Period. larger insects evidently passed along this trait to new generations. The result, after many millions of years, was a world populated by unusually large insects, until the upper limits of size for this type of growth were met. The concentration of atmospheric oxygen during the Late Paleozoic also had implications on the development of insect flight. Specifically, more oxygen in the air made the air denser. This made it easier for winged insects to gain lift as they took flight. Smaller wings would have been able to carry more weight. The success of the first fliers led to successive generations of specialization in wing design and efficiency. In large part, this evolutionary milestone was made possible by the dense atmosphere that encouraged the development of early flight. If insects and other arthropods, such as scorpions and spiders, were so successful in exploiting an oxygen-rich environment, why, then, did there not evolve dragonflies as big as airplanes and scorpions the size of tanks? The answer is that there are thresholds imposed by the laws of physics that limit the body size of organisms. In the case of arthropods, the body size is limited by the very respiratory system that enabled the organism to grow so large in the first place. A diffusion type of breathing, in which oxygen is fed to the tissues by surface tubes, is extraordinarily effective in smaller animals. If an insect species grows larger, however, this form of gas exchange works against further growth. Paleontologist Richard Fortey points out that as the surface area—the outside skin of the exoskeleton—of an arthropod increases, the inner volume of the animal also increases, but by a factor of eight. There is a point at which a larger version of the same animal simply would not be able to take in enough oxygen to feed its tissues and organs. A second physical limitation is also related to the tiny trachea, or air diffusion tubes. As the limbs of an arthropod grow larger, the inside surfaces of the air tubes become stronger and stiffer. There is a point at which the tubes become difficult to flex, and any such air passages to the tissues of an arthropod's legs would make the legs too stiff to move. Either prospect—the inability to breathe or the inability to walk—provides biological constraints for the evolution of arthropods of unlimited size. thrived in response to the abundance of oxygen in the Carboniferous atmosphere. When Earth's atmosphere changed in the Permian Period, and oxygen levels declined to levels that are more equivalent to today's, Arthropleura was among many large species of arthropods that became extinct. Whether or not a lower oxygen level was responsible for the extinction is not fully understood, although it may have been a contributing factor to the demise of such a large arthropod. What were the first fossils found in Antarctica ? When was the first appearance of photosynthetic plants on earth? What plants grew in dry carboniferous? Do the placental animals evolved n the era when earth was not too much exposed to uv radiation? What are the principle of prehistoric and evolution of vascular plants? When vascular plant origin in earth? Which period do plant first step on land?